COMIO Smartphones is a trendy new phone company from India launched just a month back. This company makes stylish, affordable and a range of high tech smart builtin featured phones suited to match your lifestyle. COMIO Smartphones are best for people who love to travel because of its camera and battery features. Bring a blogger, I think COMIO Smartphones are really well-equipped devices for those who love a good quality phone and definitely for bloggers like me. Of course, I am still waiting for a quick review of the phone which might happen soon. 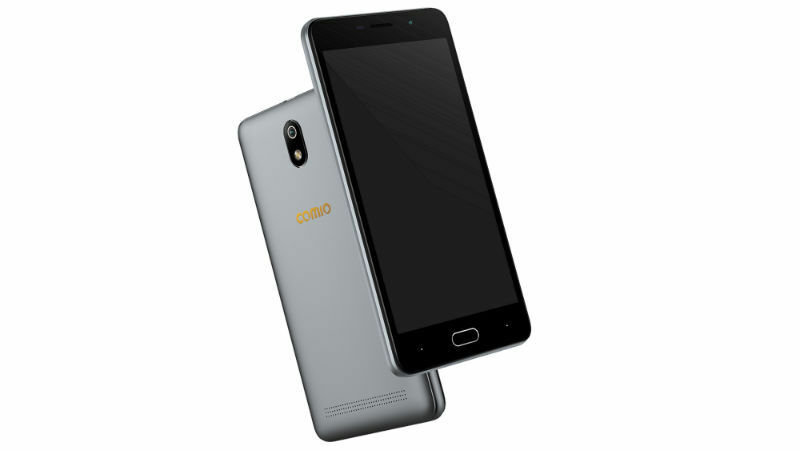 COMIO Smartphones has just launched COMIO C1 Pro equipped with more features and more fun. Face unlock is one of them! Priced at as low as INR 5599/-, this device comes with far more features than some of its competitors priced at the higher end. C1 Pro comes in three color variants - Metallic grey, Sunrise gold and Royal black, and everything looks fab. With 4G Dual VoLTE/ ViLTE support, COMIO C1 Pro is built with 5.0-inch HD display, Quad-core 64 Bit processor, 1.5GB RAM, and ROM 16 GB memory. It also has 8 MP AF rear camera and 5 MP selfie camera which is nice at the price range of INR 5599/-. 2,500 mAh battery might be a little disappointing but at that price it's fantastic. By the way, Jio customers to get INR 2200 cashback (44*50 Rs vouchers) at the time of 1st successful recharge of INR 198/299 monthly plans. So buy the budget-friendly phone and save some money to travel. Founded in 2015 by the trio Shachin Bharadwaj, Santhosh Nagarajan and Sheldon Dsouza, Sminq is an app that allows you to share updates and know details of specific places available real time. In simple words, Sminq is a new age Instagram story specific to places. Sminq initially was a doctor's app broadcasting live status of the patients in the queue. With this launch, Sminq has become one of the first apps that broadcast real-time information. The content varies from photos, offers and videos. I was given a first-hand experience of the app and I am totally impressed with the concept. Imagine if you get information about a restaurant seating before you enter the place or knowing the discount price of a specific product. Everything is possible with this app. Presently the app is live in Bangalore and Pune but from the day one, ready for global users across the world, therefore, you can start using it anywhere and everywhere. Note: All information on Sminq expires in a day (by default) but the ones that users love to get to stay longer! Every upvote to a post extends the life of the post on the platform. The app is now live on Android & iOs, so download now! The season 2 of the Fast Food & Cafe Convention will be held in Bengaluru on the 10th of May 2018. This event presents an exciting opportunity for those in the QSR & Café industry to converge, share ideas, thoughts and inspiration. So why should you attend? Well! The Fast Food & Cafe Convention is a really good opportunity for operators to understand the landscape of consumer trends, outcomes as well as new opportunities in the space of Fast Food & Café. As you know, QSRs & Cafes are aggressively growing and have their fair share of problems and challenges. Fast Food & Cafe Convention will help you discover solutions to the challenges faced now or in the future. 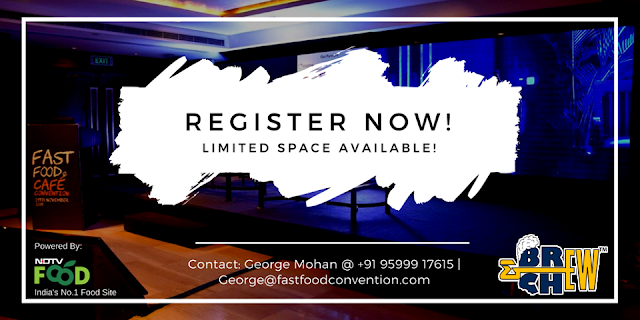 The Bangalore convention is bringing together some of the renowned chefs, leaders of the food industry and successful restaurateurs, who will share their ideas, thoughts and inspiration. Apart from this, the congregation will also enlighten us on the new advancements in technology in the QSR and casual dining sectors. “This is India's only event giving you an unparalleled opportunity to meet with industry leaders, network with peers and learn from experts within the QSR and Café sector” shares Mini Jacob, Partner at Oddbox, and the organiser of the event. Restaurants & Cafes, gear up! This time, your favourite ‘Brew & Chew’ will also be a part of this Fast Food & Cafe Convention, Bangalore. If you are interested to join me on 10th May 2018 at The Lalit, Bengaluru, please call 9599917615 or 8978171260 to register for the event. Entry is only through registration. 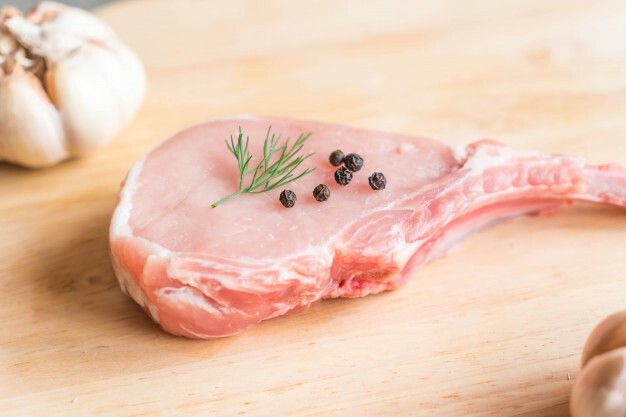 Meat is a rich source of proteins and other essential nutrients but of course, it is always suggested that minimizing fat content in the meat keeps you healthy. Also, we have heard that red meat is not good for your health. Making the right choices in eating healthy food can have a long-term impact on your body. 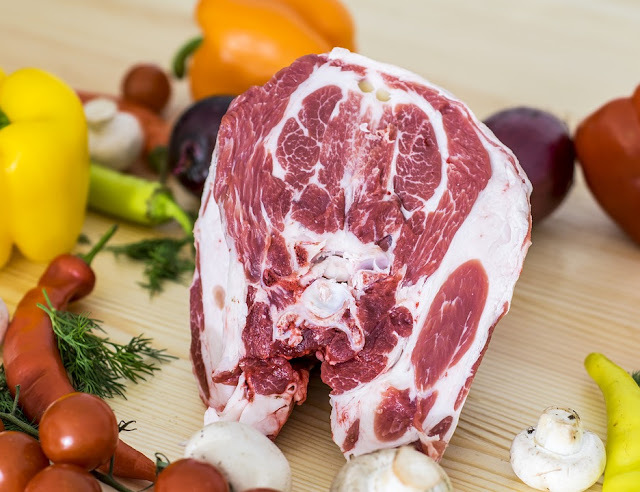 So here is a list of top 5 types of meat which are healthy for you to eat at any time. Country Chicken is very much different than regular boiler chicken or farm chicken. Country Chicken tastes different, the quality of meat is different even the health benefits. The Country Chicken is little rubbery but it has High Protein, Vitamins & Minerals. The speciality of Country Chicken is that it helps you in reducing weight and risk of Cancer. This chicken is also better than the commercially-raised poultry because commercially-raised poultry often contains hormones, antibiotics and traces of pesticides which can harm your body. Pork has high in protein, essential vitamins, minerals and amino acid good for overall health. 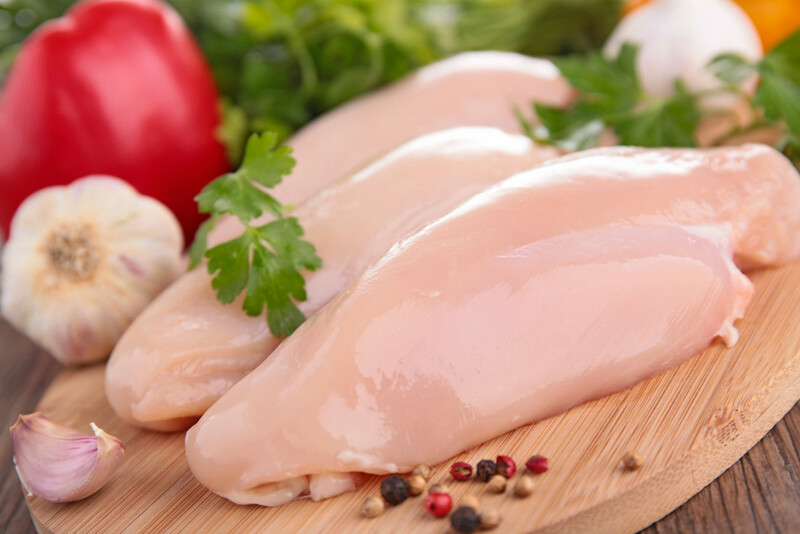 Some cuts like tenderloin, loin chops and sirloin roast are healthier than commercially-raised poultry available in the market. Goat meat is low in calories, total fat, saturated fat and cholesterol making it one of the best meats to have any time of the day. Goat meat also has higher levels of iron, higher potassium content with lower sodium levels. This meat is also comprised of Vitamin B helps you in burn fat. Fish is the worlds best source of omega-3 fatty acids and is also considered as the healthiest meat of all time. 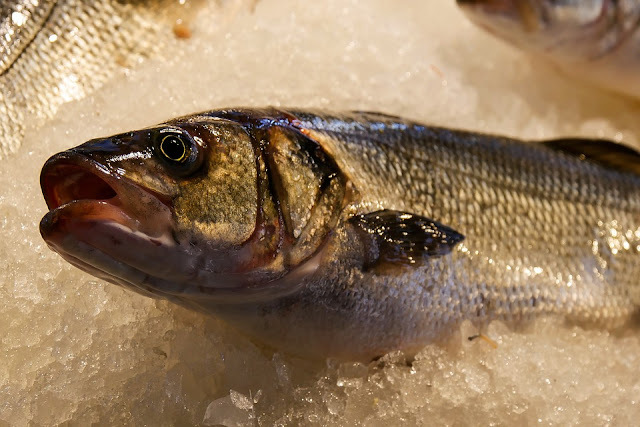 Fish is also a rich source of protein and vitamin D. The river fatty fishes are considered most healthy amongst fishes. 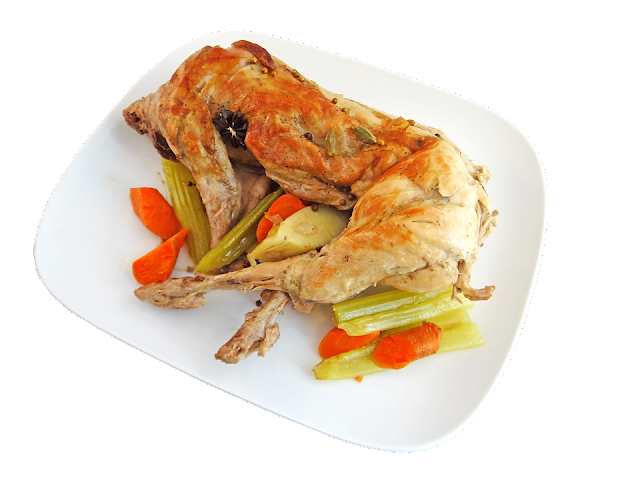 Rabbit meat is quick to digest and is rich in nutrients, therefore, it is very ideal for pregnant women. This meat is also good for bones and teeth health because it contains a high proportion of calcium. It also has zinc helps you strengthen your sexual health. Let me first start this article by saying 'I have not been paid to talk against Suguna Chicken'. This is a personal analysis and I recommend to test Suguna Chicken after reading this article. 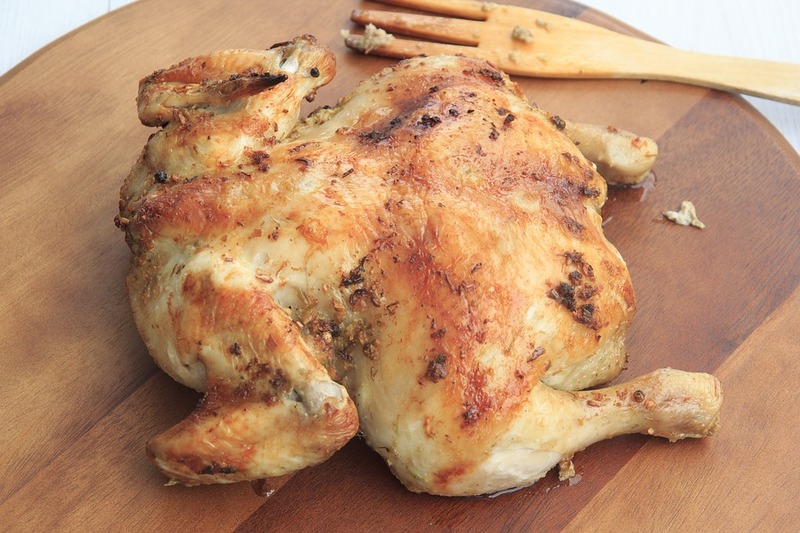 How many of you have felt weird about the chicken you buy from the local butcher shop? Like having medicine smell or tasting weird or the taste of chicken. If you have come across to some of these qualities in your chicken then this article is for you. I usually buy chicken from the local butcher and couple of months I used to hate eating chicken because of its taste and smell. I also observed that many people who buy the chicken used to talk and complain about the chicken. It was confusing at first but then once I ordered Five Star chicken from Swiggy and I really loved the quality of that chicken meat. So I investigated further because how can one set of chicken felt differently than the other and I found something that I think nobody had observed till now. I bought chicken from almost 10 shops near where I live. The meat was little red in colour, bloody and smelt like expired medicine. How can 10 shops give you some kind of weird chicken meat? So I asked a butcher and he proudly told 'Sir, this is Suguna Chicken. This chicken will be softer and tastier'. but my tongue said otherwise. In Bangalore, things have so happened that Suguna Chicken has become a brand, therefore, most of our butchers buy it from Suguna Farm. It is definitely not wrong but think again, the increase in demand can surely impact on the production. So I was sure that Suguna Chicken was using some kind of chemical to improve production. To confirm this, I also bought Chicken from the Suguna's Daily Fresh and yes, it was the same chicken. Frankly, until this point, I used to blame the meat than the brand. Last week, I went to buy Fish from Yeshwanthpur. I was window shopping in the fish market and suddenly I came across a chicken centre. The guy was so overly marketing Suguna chicken saying "Saar, come Saar best chicken for the best price". 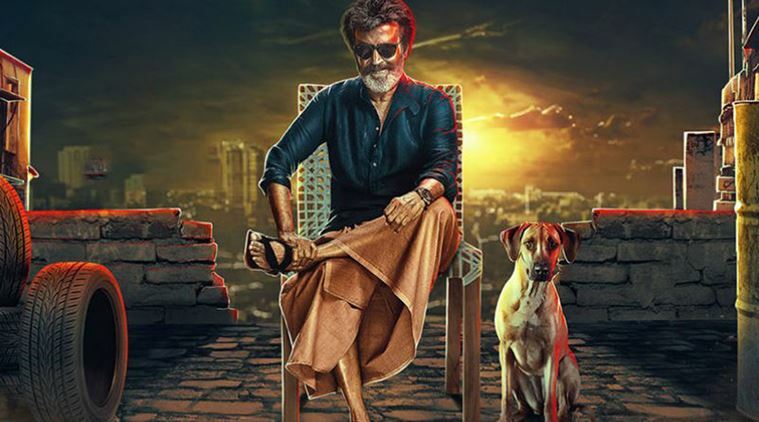 So I said him "I want to buy a chicken but I don't want Suguna Chicken because it tastes bad' and he replied, "Saar, I also have Vencobb chicken and it doesn't taste like Suguna". I told him to cut and pack chicken from Vencobb farm. The meat was not bloody and red unlike Suguna, it was similar to chicken I used to buy a year ago. I cooked it and was surprised to notice that it tasted totally different. The meat colour, smell and taste of Suguna Chicken is very different than the regular chicken from other farms. You be the judge! Try chicken from a different farm and Suguna Chicken, you will know the real difference. Note: This article is for educational purpose and not to endorse any brand. Rentomojo: A New Age Of Owning Has Begun! Time keeps on changing, and with the evolving trends, we also need to implement and adhere to the changes around. Certain times it becomes very necessary for us to change or implement things in our lifestyle so that we benefit out of it. Bringing in the same logic to owning something, a company named Rentomojo has come up with a strategic plan to help people own furniture, electronic appliances or motorcycle in a smarter way. 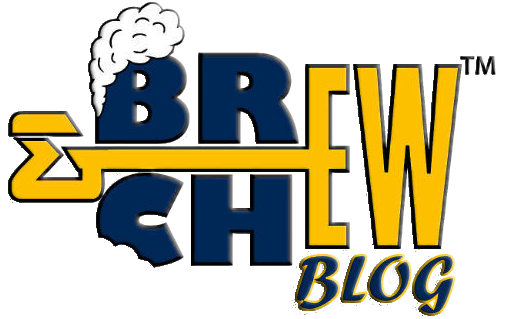 In this article, I am going to give you a basic idea of this company, an insight and of course my wise thoughts. Rentomojo is an online home appliance, and furniture rental start-up started in the year 2014. Founded by CEO Geetansh Bamania, Rentomojo has created a new category in the Indian market. Ajay Nain, Achal Mittal, and Gautam Adukia are the other three co-founders of this company. It seems like an age-old debate, and the conclusion would always be EMI for the only reason that at the end of the term you don’t need to give it back. EMI, however, feels unsafe because of its terms, conditions and credit score. However, in rent, the only scare will be that they would take the product back. Your credit score is also not affected at all. It surely depends on person to person. A guy working in a different location might feel happy to rent and a person settled off in a particular city might think otherwise. For me, I would rather choose to buy a product on EMI than renting it out, but what if I can rent a product, use it for a couple of days and then buy it? Don’t you think it would be smarter? Because once you rent and use, you will know how good or bad the product is, right? Rentomojo has come up with the same plan. Now you can not only rent products at a very cheap rate but can also own it. Rent-to-own also was known as rental-purchase, is a type of legally documented transaction under which tangible property, such as furniture, consumer electronics, motor vehicles, home appliances and real property, is leased in exchange for a weekly or monthly payment, with the option to purchase at some point during the agreement. This model was first started in the United States during the 1950s and 1960s but is currently making a big noise in India. Rentomojo’s rent-to-own agreements are based on a monthly rental term on the goods, and at any time of the engagement, you can buy it giving extra money. This is a smart way of buying because, in EMI, you don’t get free services like from Rentomojo. For example, I rent out a bike and use it for 2 years with all free services then I will buy it giving little more extra money. So I get the bike, the advantage of renting as well as free services. So who is smart? Rentomojo is a company helping me to own home appliances, furniture as well as motorcycles smartly, but is it really smart? This question definitely comes to our mind, and it is not wrong. Rentomojo is doing something very smart, but think again, no company in this world does business without profit. Are they making us fool by telling smart way of buying? Definitely not! Rentomojo is a really a good alternative to owning something for way too many reasons. India is filled with middle-class families, and every paisa makes a difference. Think like this - you don’t have a refrigerator, and you want to but one. You have an option to buy it in one shot, which you cannot, or you can take it on EMI. Something bad happens, and you need 10 more days to pay the monthly EMI, but once the date crosses, you get calls, your credit score goes for a toss, and it is insulting. Do you need all this to own a small refrigerator? Absolutely not! At Rentomojo, however, you can rent and use the refrigerator, change it anytime you want, get free services and you get 30 days buffer to pay the rent. And one day if you want to own it, buy it from them for 1/4th of the actual cost. I feel, Rentomojo is trying to bring in a good change and I am sure, the rent-to-own category would be a great success.